The autogyro, ZK-ROR, was not built from plans as such, but from sketches and photographs. Initially, the vertical line of thrust was wrong and he rebuilt the gyro using information gleaned from a trip to Australia. 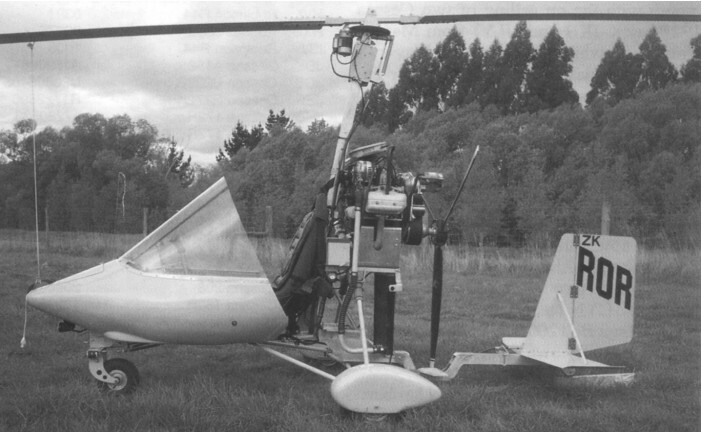 The rotor head is controlled by Morse cables, rather than the usual tube rods, and the aircraft is powered by a Subaru EA81 driving a Brolga 68-inch prop via Rex's own "redrive" unit, which has been inverted to cure the initial trust line problem (along with lengthening the tail boom by some 30 cm).